Total darkness. Dwindling supplies of air. Temperatures said to feel over 100 degrees. 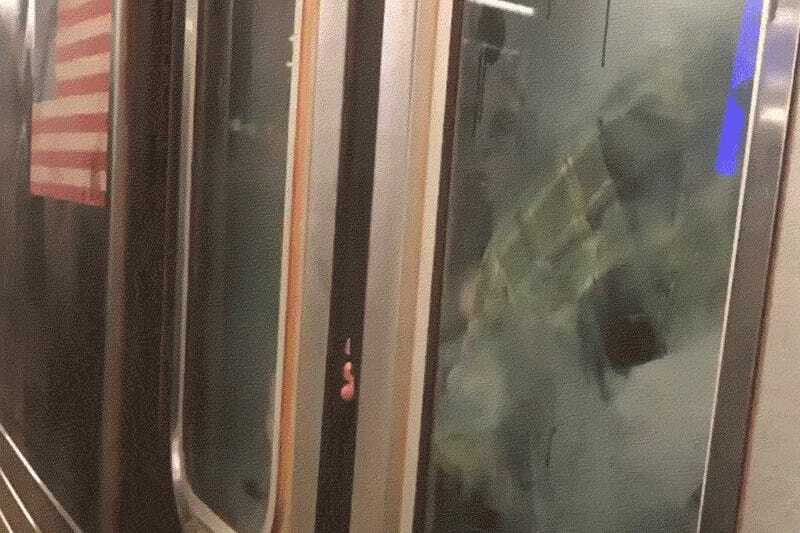 The New York City subway has been a nightmare lately, but tonight, riders may have stared into the scorched depths of commuting hell itself. I was taking a packed F train home, that had no working AC, when we abruptly stopped in a tunnel. The engines shut down, the lights go off and with no exaggeration, we were stuck there for 45 minutes in what felt like 120 degree heat. Once they finally reached a station 45 minutes later (it may have actually been longer, as the first reports of a southbound F train with mechanical troubles on the official MTA Twitter page was at 5:48 pm, and Chelsea Lawrence, who took the video above, noted that the train arrived at 6:57 pm), Sciariffo says it took another ten minutes for the doors to finally open, while onlookers stood helpless, fearful of interfering with the train’s door lock mechanism. I never enjoyed the dank, smelly aroma of a train station more in my life. It was a terrible experience to endure, no doubt. But I am very grateful that despite how terrible this experience was, it wasn’t something more serious, like a terror attack, and that ultimately, we will all be making it home to our families safely. God bless. May God have mercy on their souls, and all of ours. We’ve reached out to the MTA for more information on what happened, and will update if we hear back.